We are the debut trade picture book authors and illustrators of 2019! Elizabeth Brown grew up in Evanston, Illinois and Dorset, Vermont. When she wasn’t practicing her violin, Elizabeth was reading books and writing stories. She earned two degrees in music and then went on to receive her MFA in Creative Writing from Goddard College. Elizabeth is a college writing professor and professional violinist. She lives in the Chicago area with her family and two cats. ​Elizabeth’s debut picture book, DANCING THROUGH FIELDS OF COLOR, illustrated by Aimee Sicuro, is a biography of abstract painter Helen Frankenthaler. It will be published by Abrams in Spring 2019. Connect with her online at www.elizabethmbrown.com or on Twitter: @ebrownbooks. Hayley Barrett is the author of three upcoming picture books. BABYMOON encourages the slow and sensitive welcoming of a child to the world, illustrations by Juana Martinez-Neal. (Candlewick Press, spring 2019) WHAT MISS MITCHELL SAW recounts Nantucket astronomer Maria Mitchell’s amazing 1847 discovery of a telescopic comet and the subsequent international controversy, illustrations by Diana Sudyka. (S&S/Beach Lane, fall 2019) GIRL VERSUS SQUIRREL is a rollicking, STEM-based tale of teacups, peanuts, and the satisfying surprise of learning something new, illustrations by Reneé Andriani. (Margaret Ferguson Books/Holiday House, 2020). ​Hayley lives outside of Boston with her husband John. Their two terrific kids have flown the coop. Find her online at hayleybarrett.com and on Facebook, Twitter and Instagram. Kathleen Berman is a former teacher who taught in one of the most ethnically diverse schools in NYC, at a time when the arts flourished in the city schools. As the arts challenged her students, Kathy was inspired to pursue her interests in art and writing. 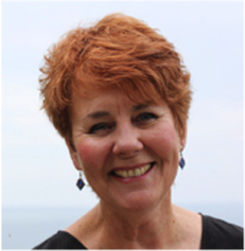 After retiring from teaching, she joined SCBWI, participated in critiques groups, and attended conferences. Find her online on twitter @bermankathy website kathleencornellberman.com and instagram @kcornellb. Kathy’s debut picture book biography; BIRTH OF THE THE COOL: HOW JAZZ GREAT MILES DAVIS FOUND HIS SOUND to be published Spring 2019 Page Street Kids. It is an inspiring story about how Miles developed his unique sound on the trumpet. Bea Birdsong is a former teacher whose time in the classroom left a lasting impression of the awesome power of books to educate, entertain, and empower. Her debut picture book, I WILL BE FIERCE, illustrated by Nidhi Chanani, will be published by Roaring Brook Press/Macmillan in spring 2019. Bea is a member of the Society of Children’s Book Writers and Illustrators and Sisters in Crime. She lives in North Carolina with her husband, son, and a rescue dog named Bilbo. She spends her free time reading, traveling, and searching for hidden doors to other worlds. Connect with Bea on Twitter: @BeaBirdsong. I WILL BE FIERCE, written by Bea Birdsong and illustrated by Nidhi Chanani (Roaring Brook Press/spring 2019), is the story of a girl who tackles her day with courage and fortitude, much like the heroine in a fairy tale. Her fierce attitude serves her well as she answers the call to adventure, drives back the dragon, and charts her own course. Cavekid Birthday - Illustrated by Roland Garrigue. Two Stone Age friends barter for the perfect birthday present in this prehistoric twist on "The Gift of the Magi". Kim Chaffee holds the Guinness World Record for the largest game of pick-up sticks ever played. (It’s true! Check out pg. 111 of the 2005 edition) She is a former second-grade teacher who loves coffee, chocolate, and writing picture books that kids will want to read again and again. Her debut picture book, Her Fearless Run: Kathrine Switzer’s Historic Boston Marathon, was inspired by her own journey with running. Kim is a graduate of the University of New Hampshire and now lives not too far from there with her husband, two kids, and two cats. Find her online at www.KimChaffee.com or on Twitter at @kim_chaffee. HER FEARLESS RUN: KATHRINE SWITZER'S HISTORIC BOSTON MARATHON, written by Kim Chaffee and illustrated by Ellen Rooney (Page Street Kids/April 2, 2019), is a narrative biography that follows Kathrine from running laps as a girl in her backyard to becoming the first woman to run the Boston Marathon with official race numbers in 1967. Her inspirational true story is for anyone willing to challenge the rules. NOTHING WEE ABOUT ME (Page Street Kids/Spring 2019) takes readers on an imaginary adventure with a wee girl and her magical ladle as she hurries to save the day and be home in time for soup. Nidhi Chanani was born in Kolkata, India, and raised in Southern California. She holds a degree in literature from the University of California, Santa Cruz. She creates illustrations that capture the love in everyday moments. In 2012 she was honored by the Obama Administration as a Champion of Change for her art. Her illustrations are sold in boutiques along the West Coast and she's worked with companies like Disney and Hasbro. Nidhi lives in the San Francisco Bay area with her husband, daughter, and cat. Pashmina is her debut graphic novel, and it is currently available from First Second. Find her online at www.everydayloveart.com. ​Her debut picture book as an illustrator, I WILL BE FIERCE, written by Bea Birdsong (Roaring Brook Press/spring 2019), is the story of a girl who tackles her day with courage and fortitude, much like the heroine in a fairy tale. Her fierce attitude serves her well as she answers the call to adventure, drives back the dragon, and charts her own course. Former teacher. Wannabe chef. Debut author. Tami Charles writes picture books, middle grade, young adult, and nonfiction. Her middle grade novel, LIKE VANESSA, has earned Top 10 spots on the Indies Introduce and Spring Kids' Next lists, along with three starred reviews. Her picture book, FREEDOM SOUP, debuts with Candlewick Press in fall, 2019. She also has more books forthcoming with Capstone and Albert Whitman. Tami is represented by Lara Perkins, of the Andrea Brown Literary Agency. Find out more at www.tamiwrites.com. ​Her debut picture book, SASSAFRAS AND HER TEENY, TINY TAIL is about a squirrel whose differences save the day. Candice has actually had a squirrel pee on her. Her debut picture book, WHEN GRANDMA GIVES YOU A LEMON TREE, illustrated by Lorraine Rocha, will be published by Sterling in spring 2019. In the story, a child hopes for an electronic toy as a birthday gift, but receives an unexpected surprise instead. Her debut picture book COWHIDE-AND-SEEK, illustrated by Jess Pauwels, features Bessie, a cow who is determined to be the winner of hide-and-seek, even though she’s the only one playing. It will be published by Running Press Kids in Spring 2019. Monique Fields is the author of Honeysmoke, a new picture book about a biracial girl who discovers her color. Monique is the mother of two biracial girls who inspired her to write the book when they started asking questions about their racial identity. Her essays about race and identity have appeared on air, in print, and online, including NPR’s All Things Considered, Ebony magazine, and TheRoot.com. Monique is the founder and editor of Honeysmoke.com, a site for parents raising multiracial children. Honeysmoke will be released by Macmillan Children’s Publishing Group in January 2019. A young girl looks around her world to find her place in it. Her skin color is not like anyone else's; so what is her color? She finally chooses her own, and creates a new word: honeysmoke. For multicultural children, and for all children, this story offers a universal message that empowers young people to create their own identity. Ashley Franklin is an African-American Muslim writer, mother, and adjunct college professor. Her debut picture book, NOT QUITE SNOW WHITE, is a tender story of an African-American girl who must dispel doubts about her ability to play a traditionally non-minority princess, and will be published in Summer 2019 by Harper Collins. Ashley received her M.A. from the University of Delaware in English Literature. She is a member of SCBWI and the Authors Guild. Arkansas is where she, her husband, and two young sons call home. You can find Ashley online at www.ashleyfranklinwrites.com or on Twitter: @differentashley. Kristin L. Gray is the author of two middle-grade novels, Vilonia Beebe Takes Charge and The Amelia Six (forthcoming), plus a funny picture book, KOALA IS NOT A BEAR, about a koala who wants to be a bear. School Library Journal called her debut middle grade "full of humor". Gray adores visting schools, in person or virtually, and considers Arkansas home. You can find her at her local library or online at kristinlgray.com. Wendy Greenley's eclectic interests led her to be a dried flower artist, ice cream scooper, microbiologist, attorney, Cub Scout leader, Art Goes to School Volunteer and president of the local Friends of the Library. Now she writes full-time for children. She lived in NJ, DE, PA, England and TX before circling back to the Keystone State. She is represented by Stephanie Fretwell-Hill of Red Fox Literary. You can find Wendy at wendygreenley.com or on Twitter @wendygreenley. ​Her debut picture book, LOLA SHAPES THE SKY, illustrated by Paolo Domeniconi, encourages children to find the joy of being themselves. UNDERWEAR! is the story of little bear's shenanigans as he gets out of the bath and ready for bed, much to big bear's chagrin. ​Her debut picture book as an author-illustrator, LENA'S SLIPPERS, is based on a childhood memory and follows a little girl who loves to dance and has to find the right slippers for her school recital. It will be published by Page Street Kids in Spring 2019. When Amanda Jackson isn’t writing, she can be found exploring rainy Portland with her husband, crocheting, baking, drinking coffee, and doing yoga (to recover from drinking coffee). She has worked with lots of awesome kids, in and out of the classroom, and currently as a nanny. Amanda graduated from Warner Pacific with a degree in Human Development. She is a member of SCBWI and the Authors Guild. Her debut picture book, MY SHAPE IS SAM (Fall 2019) will be illustrated by Lydia Nichols and released from Page Street Kids. You can find her on Twitter at @Amanda2Jackson or at AmandaJacksonBooks.com. Sam the square longs to roll like a circle. He listens to his heart, takes a risk, and discovers his truest shape in MY SHAPE IS SAM. Elaine Kiely Kearns is a picture book and middle grade writer born and raised in New York. Armed with a master's degree in Education and working from her home office, she spends her time perusing the internet for golden nuggets of information about children's writing and creating her own stories. 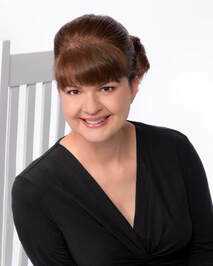 She is the founder of the award winning website for writers, KIDLIT411. Her debut picture book, NOAH NOASAURUS, illustrated by Colin Jack (Albert Whitman) will be forthcoming Spring 2019. She is represented by Linda Epstein of The Emerald City Literary Agency. THE MANY COLORS OF HARPREET SINGH is about an Indian-American boy who expresses himself through colors. When he moves across the country, he uses his colors to navigate the various emotions he feels, from nervous, to shy, to finally feeling at home again. PIPPA’S PASSOVER PLATE (Holiday House, Spring 2019) illustrated by Jill Weber: Cats and owls and snakes make young Pippa Mouse quake, but she bravely confronts her natural enemies as she hunts for the missing Seder plate, determined to recover it before the sun sets and the Passover holiday begins. FOUR OTTERS TOBOGGAN: AN ANIMAL COUNTING BOOK (Pomegranate Press, Spring 2019) illustrated by Mirka Hokkanen: Ten endangered animals visit a pristine mountain stream where river otters toboggan, dragonflies dance, and the character of the water changes as quickly as a young child’s moods until the mountains swallow the sun and the pool waits quietly for a new day. SWEET DREAMS, SARAH (Creston Books, Spring 2019) illustrated by Chris Ewald: With freedom in her pocket and dreams swirling in her head, former slave Sarah Goode moves to Chicago, opens a furniture store, and builds an innovative fold-out bed. But if she is to profit from her invention and succeed in her business, she must pursue the patent, no matter what the cost. Lindsay Leslie--a diary keeper, a journal writer, a journalism major, a public relations executive--has always operated in a world of written words. When she became a mom and began to tell her kids bedtime stories, Lindsay connected the dots to children’s literature. Lindsay graduated from The University of Texas at Austin and lives with her husband, two young boys, and two fur-beasts in Austin. Connect with Lindsay on Twitter at @lleslie or online at lindsayleslie.com. Lindsay's PB debut releases Feb. 19, 2019, and is followed by two subsequent picture books. ​THIS BOOK IS SPINELESS (Page Street Kids/Feb. 19, 2019/illustrated by Alice Brereton): With suspense and humor, this wary and unadventurous book uses its five senses to try and figure out what kind of story might be on its pages. The reader and book navigate each page together, as the book becomes braver with every turn. NOVA THE STAR EATER (Page Street Kids/May 21, 2019/illustrated by John Taesoo Kim): Nova, who is hungry for stars, slurps down the Earth's Sun--causing folks on the bluish-green planet to think creatively about how to get it back. WANTED: DUSK RAIDERS (Page Street Kids/Spring 2020/illustrated by Ellen Rooney): In this lyrical ode to summertime, the search is on for tree climbers, firefly catchers, and hide-and-seekers to steal away to the outside world as dusk falls to night. Claudia Guadalupe Martinez grew up in sunny El Paso, Texas where she learned that letters form words from reading the subtitles of old westerns with her father. She is now a mom who lives and writes in Chicago. Her award-winning middle-grade books include The Smell of Old Lady Perfume (Cinco Puntos, 2008) and Pig Park (Cinco Puntos, 2014). NOT A BEAN is her debut picture book (Charlesbridge, 2019). The nonfiction picture book integrates English, Spanish, and a counting concept as it looks at the lifecycle of the Mexican jumping bean—which is not a bean at all. Kevin Noble Maillard is a professor and journalist who lives with his family on the 13th floor of a 115-year old bank in the heart of Manhattan. He is a regular writer for the New York Times, and has interviewed politicians, writers, tribal leaders, and even some movie stars. When he was 13 years old, he won a fishing derby for catching 72 fish in two hours. Originally from Oklahoma, he is a member of the Seminole Nation, Mekusukey band. His debut picture book, FRY BREAD will publish from Roaring Brook Press/Macmillan in 2019. Told in lyrical, spare, and powerful verse, FRY BREAD explores the culture, history, and impact of this Native staple, and how it brings together family and community through love and tradition. Breanna J. McDaniel is an author and children’s literature scholar. She holds an MA in children’s literature from Simmons College and is currently pursuing her Ph.D. at Cambridge University, where her research focuses on representations of Black children in contemporary picture books. Born and raised in Atlanta, GA she currently lives in the United Kingdom. HANDS UP! will release from Dial Books for Young Readers in Spring 2019. Find her online at www.breannajmcdaniel.com. Ishta (pronounced EEESH-ta) Mercurio is an author, actor, and lifelong environmental activist. Raised in the US, she has also lived in England and Scotland, and has visited Venice, Italy; Paris, France; and a range of beautiful places all over the United States. One day, she hopes to visit her relatives in Cebu. She now makes her home in Canada, where she homeschools her two sons and films and photographs plants and wildlife, from the tall to the small, in her backyard. Find Ishta at www.ishtamercurio.com or connect with her on twitter at @IshtaWrites. ​Her fiction debut, SMALL WORLD (illustrated by Jen Corace), is a STEM-concept picture book that explores a girl's journey of growing up in the world and discovering its beauty and marvel. Yamile (pronounced sha-MEE-lay) Saied Méndez was born and raised in Rosario, Argentina to a family with roots from all over the world. She now lives in small mountain town in the United States with her Puerto Rican husband, five multi-cultural kids, two bilingual dogs, and a herd of deer that love to eat her flowers. She’s a graduate of the Vermont College of Fine Arts. Visit her at yamilesmendez.com. WHERE ARE YOU FROM? In which a girl who is asked where she's really from turns to her abuelo for the answer. Katrina Moore writes and teaches in New Jersey. Earning her M.A. in elementary education, she's been a teacher for almost a decade in Maryland, Massachusetts, and New York. Her mission is to create books that children will hug for ages. When she is not writing or teaching kids in elementary school, she is cooking without a recipe, painting outside the lines, or snuggling up with her two kids, husband, pomapoo pup, and of course, a cozy book. Connect with her on twitter @kmoorebooks or at www.katrinamoorebooks.com. Her debut picture book, ONE HUG, illustrated by the talented Julia Woolf, is a lyrical celebration of the different ways that hugs bring people together, forthcoming from HarperCollins/Katherine Tegen Books in 2019. The book follows an Asian-American boy as he and his family prepare to welcome their immigrant relatives. Mikela Prevost is an illustrator that gravitates towards the overlooked and a writer that finds stories by asking questions of the mundane. While working on her master's degree in Illustration from California State University Fullerton, she managed to squeeze in some time to marry a wonderful man, Cameron Smith. Together, they live in the wild west of Arizona wrangling their kids Lily, Abby, Jude along with 1 dog, 2 desert tortoises and 2 air-conditioning units. Her debut picture as an author-illustrator LET'S HAVE A DOG PARTY! will be released by Viking, Spring 2019. You can find Mikela at mikelaprevost.com as well as on Twitter and Instagram at @mikelaprevost. LET'S HAVE A DOG PARTY (Viking, Sp '19) Kate loves loves her dog Frank and wants to throw him a birthday party with help from her friends. But someone wishes they hadn't been invited - Frank. Lisa Robinson (PIPPA’S NIGHT PARADE AND PIRATES DON’T GO TO KINDERGARTEN - TWO LIONS, Spring/Summer 2019) is a writer and a therapist and lives outside Boston with her family (which includes three cats, The Spice Cats). She teaches a course about creativity at Lesley University in their Writing for Young People MFA program. Recently, as a result of watching her daughters learn circus arts, she has taken up aerial silks and can be found flying through the air at her local circus gym. You can find her online at author-lisa-robinson.com or Twitter at @elisaitw. PIPPA'S NIGHT PARADE, by Lisa Robinson, illustrated by Lucy Fleming, is a book filled with villains and monsters and beasts! In this bedtime romp, a little girl uses her wits and design skills to overcome her fears about the creatures coming out of her storybooks at night. (Two Lions). PIRATES DON'T GO TO KINDERGARTEN! by Lisa Robinson, illustrated by Eda Kaban. Rough, tough Pirate Emma worries that kindergarten won't be smooth sailing like preschool; with the help of her loving teachers, she learns that kindergarten might take her to the moon and back — if she will give it a chance. (Two Lions). Lisa Rogers began her writing career by publishing The Daily Blab, a newspaper with a circulation of 6, when she was 10. She later worked as a daily newspaper reporter and editor and is now an elementary school librarian. A native of the Jersey shore, Lisa lives with her family and stubborn coonhound near the halfway point of the Boston Marathon, which she’s run three times. Her picture book, 16 WORDS: WILLIAM CARLOS WILLIAMS AND THE RED WHEELBARROW won the 2016 PEN New England Susan P. Bloom Discovery Award. Find her online at www.lisarogerswrites.com or on twitter: @LisaLJRogers. 16 WORDS; WILLIAM CARLOS WILLIAMS AND THE RED WHEELBARROW, written by Lisa Rogers and illustrated by Chuck Groenink (Schwartz & Wade, spring 2019) explores the inspiration for one of America’s most memorable poems, “The Red Wheelbarrow.” William Carlos Williams, a doctor as well as a poet, formed a friendship with neighbor and patient, Thaddeus Marshall. This book is a celebration of the respect they had for each other and work that each did for their community: Mr. Marshall with his wheelbarrow filled with home-grown vegetables, and Williams with his doctoring. NOODLEPHANT (by Jacob Kramer, illustrated by K-Fai Steele, Enchanted Lion Books, January 2019) is a story about an elephant and her friends who band together to overthrow the kangaroos that run their town. It’s about noodles and resistance, laws and lasagna. Noodlephant shows us that laws are not set in stone; like pasta, laws are just another thing that people make. Jonathon Stutzman is a writer of picture books, filmmaker, book hoarder, and daring explorer of 24-hour diners. He grew up by the beach in Virginia, surrounded by sunshine. Now he lives in Pennsylvania, surrounded by cows. He isn't sure where his life went wrong. Jonathan studied film in college and grad school. His short films have screened around the world and on television, and he has writing credits on Joseph Gordon-Levitt’s Emmy-winning variety show HitRECord on TV. ​Follow Jonathan on twitter: @dustdancestoo and on instagram: @thedustdancestoo. If you ever meet him in person, he will probably-maybe share his french fries. He has four picture books arriving in 2019, including three with illustrator Heather Fox, they are: LLAMA DESTROYS THE WORLD (Holt/Macmillan, Spring 2019), BUTTS ARE EVERYWHERE (Putnam/Penguin, Fall 2019), and one more untitled book (Holt/Macmillan, Fall 2019). Also releasing, book #1 of a series with illustrator Jay Fleck: TINY T. REX AND THE IMPOSSIBLE HUG (Chronicle, Spring 2019). Sandra Sutter lives among the beautiful Kentucky horse farms with her husband and two young children. Having grown up in Colorado, she left a piece of her heart in the Rocky Mountains and often daydreams of permanently returning one day. Her upcoming debut picture book, The REAL Farmer in the Dell, was in part inspired by a love for the West. A former attorney and therapist turned children’s book author, Sandra is grateful to be on this amazing journey. When not writing or researching a new project, Sandra is likely planning fun adventures with her family. It almost always involves mountain biking, skiing, hiking, or water. Although a trip to the big city is often in order! She is fueled by coffee and enjoys really good chocolate chip cookies. Find out more about Sandra at www.sdsutter.com or follow her on Twitter @sandradsutter. Everyone knows the song, The Farmer in the Dell. But no one knows the REAL story. Find out the truth from a little mouse who was actually there. Prepare for a modern twist that turns the original stereotypes upside down and empowers girls and boys to imagine new possibilities. Filled with humor and fun retro-rodeo illustrations by Chantelle and Burgen Thorne! Kim Tomsic was the "new girl" at 8 different schools where she played four square, volleyball, and the flute. She never learned to play the guitar, but she likes to brag that she’s the mother of a guitarist! Kim lives in Boulder, Colorado with her husband, two children, and two dogs. She believes in miracles, magic, and music. Beyond writing, she is also a yoga teacher, a pet wrangler, and the Co-Regional advisor of the Rocky Mountain Chapter of the Society of Children's Book Writers and Illustrators (SCBWI). Kim’s debut novel,The 11:11 Wish released with Katherine Tegen Books/HarperCollins in February 2018. Little Lester Polsfuss’s music teacher told him he’d never be musical. She was wrong! Guitar Genius, How Les Paul Engineered the Solid Body Electric Guitar and Rocked the World! (April 9, 2019 Chronicle Books), is a perseverance story centered on National Inventors Hall of Fame legend and Rock and Roll Hall of Fame icon, Les Paul. Les faced ridicule, hardships, and struggles as he worked to engineer devices and recording techniques that proved to be revolutionary in the music industry. 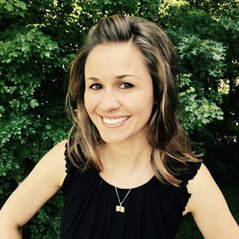 Michelle Vattula is Boston born but grew up in Erie, PA. After receiving her Bachelor degree from Miami University of Ohio (1999), she returned to Boston for her Master’s degree in Speech-Language Pathology from Northeastern University (2001). Even though she still dabbles in Speech Pathology, her main focus is on her family and writing. Currently, she lives in the beautiful rolling hills of North Pittsburgh with her Finnish husband, two beautiful boys and Beagle who are her true inspiration for writing. When she is not writing, or thinking about writing she can be found being chauffeur to her two little boys or dancing Zumba. Michelle is an active member of the Western Pennsylvania (SCBWI) and enjoys collaborating with fellow writers as much as her time permits. Her debut picture book, THE STALKING SEAGULLS, will be available in Spring 2019 through MacLaren-Cochrane Publishing. One boy. One sandwich. A flock of sneaky seagulls with one mission: to steal Alec’s sandwich. Alec must foil their plan or lunch will be ruined. Armed with his beastly beach balls and bucket blockade, Alec has high hopes for a successful mission. In this battle of wits, one clever counterattack stands between Alec and a peaceful day at the beach. THE STALKING SEAGULLS engages the reader in the playful power struggle between boy and bird with an outcome neither side anticipate. 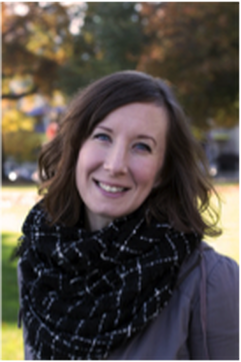 Stephanie Ward is the author of two picture books scheduled for release in 2019. (It’s all under wraps at the moment, but stay tuned for details!) To date, her stories have appeared in the Creative Kids Tales Anthology and the CJ Dennis Poetry Anthology. Due to ever-present wanderlust, Stephanie has traveled to all seven continents, lived in four countries and holds three passports. Currently, she lives in London, England with her husband and young son. No matter where she is, you can always find her on www.stephaniemward.com. Mia Wenjen started blogging on education and children's books eight years ago at PragmaticMom.com before wading into writing books more recently. She's also the co-creator of Multicultural Children's Book Day which celebrates diversity in children's books. Her first book, HOW TO COACH GIRLS, was co-authored with Alison Foley, Boston College's Women's Soccer Head Coach. Find her @PragmaticMom on Twitter, Instagram, Pinterest and Facebook. She's also Mia Wenjen on Google+, LinkedIn and YouTube. Adrienne Wright grew up in South Africa, and studied at The College of Art & Design in Johannesburg. She worked as an Art Director and Graphic Designer in advertising agencies there and then in Washington D.C. and the Philadelphia, Pennsylvania region, where she now lives with her wonderful husband, daughter and two cats. 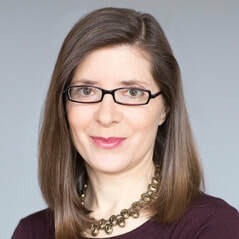 Adrienne is a member of The Society of Children's Books Writers and Illustrators (SCBWI) and, until recently, served as the Illustrator Coordinator for the Eastern Pennsylvania region. She won the SCBWI WOOP (Work of Outstanding Progress) Award in 2015 for the book that is to be published with Page Street Kids next year! She was runner-up in the Tomie dePaola Illustration Award in 2014 and 2015. Connect with Adrienne Wright at http://www.adriennewright.com. HECTOR: A BOY, A PROTEST AND THE PHOTOGRAPH THAT CHANGED APARTHEID: The nonfiction graphic novel-style picture book details the story and people behind Sam Nzima's powerful photo from the South African Soweto youth uprising of June 16, 1976. Ashley Yazdani is an illustrator, traveler, and nature lover. She holds an MFA in Illustration Practice from the Maryland Institute College of Art (MICA), and a BFA in Illustration from California College of the Arts. She lives in Baltimore, where she teaches undergraduate illustration courses at MICA. ​Ashley is currently finishing up her debut picture book about the creation of New York City's Central Park, A Green Place to Be, due out in spring of 2019 from Candlewick Press. Kat Zhang loves traveling to places both real and fictional—the former have better souvenirs, but the latter allow for dragons, so it’s a tough pick. 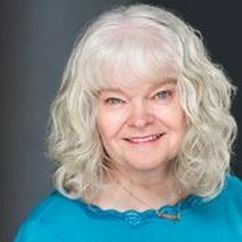 She's the author of the Young Adult Hybrid Chronicles trilogy, as well as two Middle Grades novels, The Emperor's Riddle and The Memory of Forgotten Things. Her debut picture book, Amy Wu and the Perfect Bao, comes out Fall 2019. When she isn't writing novels, she spends her free time scribbling poetry, taking photographs, and climbing atop things she shouldn’t. You can learn about her travels, literary and otherwise, at KatZhangWriter.com.